As a native Ohioan, born and raised not far from Dayton, in Cincinnati, this world premiere is of great interest to me. I moved to Chicago in 1990, long before the opioid epidemic was a hot button issue, but I've been following the decline of the state, and I had heard of Dayton's dubious distinction as drug overdose capital of America. I'm eager to see a theatrical exploration of the fall out of this crisis, by a playwright from Dayton. I'll be out for the press opening October 4th, so check back soon for my full review. Welcome to Dayton, Ohio, America's 2016 drug overdose capital. Mary works the night shift at a retirement home; her drop-out daughter, Becky, works the night shift at Super 8; new acquaintance Tom has worked every conceivable job for his entire life; and they all "work" Dr. Wilmington, their favorite physician. But something isn't working. They are all caught up in the mass casualty opioid death march that now seems as permanent as Ohio's gray skies, crumbling concrete, lonely nights, and dead-end jobs. Welcome to the Midwest. Pick your poison. Pictured: Amy Johnson (left), Tracey Green (right). Photo by Sarah Larson Photography. Adam Webster, Artistic Director of the side project, will direct S.J. 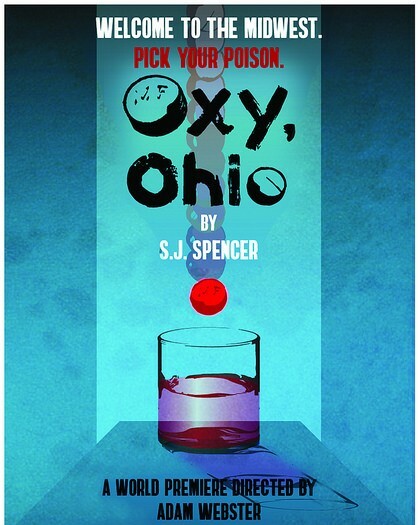 Spencer’s new drama set in Dayton, Ohio. It will be performed in the side project’s former 40-seat performance space at 1439 W. Jarvis Avenue in Rogers Park, a venue the company had occupied between 2007 and 2016 before transitioning the space over to new theatrical tenants. 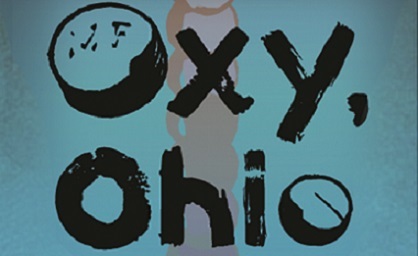 OXY, OHIO will open on October 4 following a preview on September 30 and will continue through October 14. 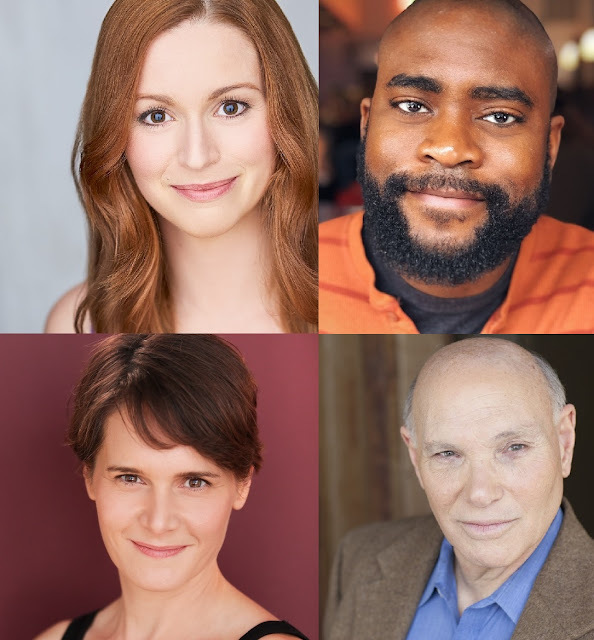 Webster’s cast will include Tracey Green (FOUR BY TENN with Aston Rep and THE TALL GIRLS with Shattered Globe), Benjamin T. Jenkins (BURF OF A NATION and BY ASSOCIATION with MPAACT), Amy Johnson (2017 Jeff award winner for FALLING with Interrobang; Spencer’s PUSH BUTTON MURDER at the side project), and Fred Wellisch (FORTY-TWO STORIES with City Lit and THE PRICE with TimeLine). His production team will include designers Blake Cordell, Cristina McCrystal, Sean McStravick, and Danielle Myerscough; Brian Ruby (Production Manager), and Sean Smyth (Stage Manager). S.J. Spencer (Playwright) is from Dayton, Ohio. His first play ANOTHER DAY IN THE EMPIRE was named one of the best shows of 2007 by TIMEOUT CHICAGO and the CHICAGO READER. He’s had performances and readings across town, from Stage Left to American Blues. His plays tackle capitalism, militarism, disillusionment, anomie, and modern liberalism. His first play at the side project, PUSH BUTTON MURDER, received an honorable mention for best of the fringe from the Tribune in 2015. Adam Webster (Director) is the Founding Artistic Director of the side project, for which he has directed more than 40 plays, produced more than 100, and written myriad one acts, as well as full length adaptations of MAGGIE: A GIRL OF THE STREETS (2004) and LYSISTRATA (2001 & 2016). Other adaptations include: HIPPOLYTUS (Hudson Guild, Slimtack) & LIFE IS A DREAM (Livewire). Other original plays include one-minute works for OMPF; 24-Hour plays for BYOT; one acts for Boxer Rebellion and Tympanic Theatre; and short play cycles "Footnotes for an Apology," "If That Was Me, then Who Am I?" and "The Dangling Conversation" for Shift7 Productions (at Rhino Fest). Also a fiction writer, poet, storyteller & visual artist, his work has been published in FOLIO, PACIFICA REVIEW, HERE/THERE, PIONEERTOWN, and THRICE magazine. He currently teaches at Harold Washington College and School of the Art Institute. The side project was founded by Adam Webster in 2000 and has operated continuously since then producing more than 200 plays, the majority of which have been world or local premieres. From 2000 to 2008, it operated in a storefront in the 1500 block of West Jarvis in a hyper-intimate performing space seating fewer than 30 patrons. In 2007, they moved a block east to 1439 W. Jarvis, retaining the hyper-intimacy, while expanding to 40-seats. In 2016, the company became itinerant and has since produced at Prop Thtr, Chicago Dramatists, and the former Side Project space. Through its history, the company has been dedicated to producing new work. 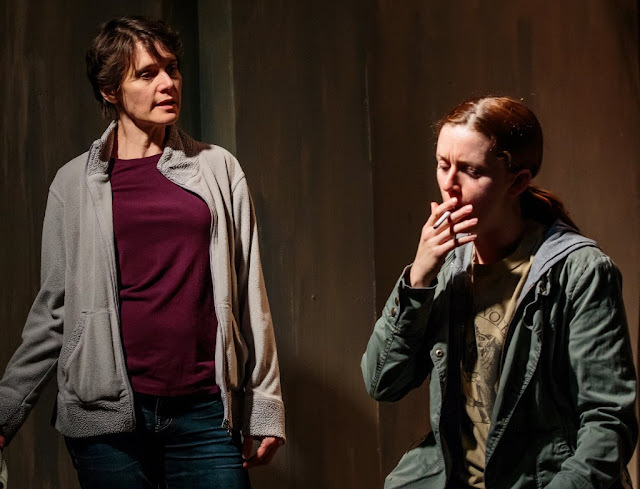 Many of its productions have been world premieres while many others have been Chicago premieres by playwrights based not only in Chicago but throughout the US. Some of the writers who have had first or early productions of their works at the side project include Sean Graney (THE FOURTH GRADERS PRESENT AN UNNAMED LOVE-SUICIDE and SUGARWARD), Philip Dawkins (PERFECT), Robert Tenges (PEOPLE WE KNOW, ELSEWHERE, WHATEVER), Daniel Talbott (SLIPPING, MIKE AND SETH), National Book Award winner Sherod Santos (LIVES OF THE PIGEONS), Kathleen Tolan (WHAT TO LISTEN FOR), Adam Webster (MAGGIE: A GIRL OF THE STREETS), and many others. The company’s focus is not simply on world-premiere plays, but on world-premiere collaborations: creating never-before-seen teams of artists, each of whom has a body of work which speaks to the others in unique and exciting ways. By bringing together established talent and emerging up-and-comers, the side project fosters new partnerships, explores new creative territory, and celebrates the best of Chicago storefront theatre.